В статье представлены результаты исследования эффективности и безопасности лечения тоцилизумабом у 39 пациентов с тяжелым системным ювенильным идиопатическим артритом, рефрактерным к стандартной иммуносупрессивной терапии. Анализ эффективности тоцилизумаба показал, что через 6 мес лечения статус неактивной болезни был зарегистрирован у 50% больных, а через 12 мес — у 57% пациентов. Нежелательные явления проявлялись инфекциями легкой и средней степени тяжести, а также изменениями со стороны лабораторных показателей: лейкопенией, нейтропенией. Ключевые слова: дети, ювенильный идиопатический артрит, системный вариант, тоцилизумаб, лечение. 1. Cassidy J.T., Petty R.E. Juvenile idiopathic arthritis. In: Textbook of pediatric rheumatology. Eds. Cassidy J.T., Petty R.E. 5th ed. Philadelphia: WB Saunders. 2005. 2. Алексеева Е.И., Валиева С.И., Бзарова Т.М.. Эффективность и безопасность повторных курсов лечения ритуксимабом тяжелого рефрактерного ювенильного ревматоидного артрита. Вопросы современной педиатрии. 2009; 8(5):14–25. 3. 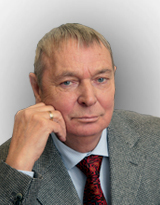 Алексеева Е. И., Литвицкий П. Ф. Руководство для врачей. Под общей ред. А.А. Баранова. М. 2007. 368 с. 4. Veldhuis G.J., Willemse PH.B., Sleijfer D.T. et al. Toxicity and efficacy of escalating dosages of recombinant human interleukin-6 after chemotherapy in patients with breast cancer or non–small cell lung cancer. J. Clin. Oncol. 1995; 13: 2585–2593. 5. Rothwell N.J., Busbridge N.J., Lefeuvre R.A. et al. Interleukin–6 is a centrally acting endogenous pyrogen in the rat. Can. J. Physiol. Pharmacol. 1991; 69: 1465–1469. 6. Castell J.V., Gomez-Lechon M.J., David M. et al. Recombinant human interleukin–6 (IL–6/BSF–2/HSF) regulates the synthesis of acute phase proteins in human hepatocytes. FEBS Lett. 1988; 232: 347–350. 7. Nemeth E., Rivera S., Gabayan V. et al. IL-6 mediates hypoferremia of inflammation by inducing the synthesis of the iron regulatory hormone hepcidin. J. Clin. Invest. 2004; 113: 1271–1276. 8. Ikebuchi K., Wong G.G., Clark S.C. et al. Interleukin–6 enhancement of interleukin–3 dependent proliferation of multipotential hemopoietic progenitors. Proc. Natl. Acad. Sci. USA. 1987; 84: 9035–9039. 9. Kimura H., Ishibashi T., Uchida T. et al. Interleukin 6 is a differentiation factor for human megakaryocytes in vitro. Eur. J. Immunol. 1990; 20: 1927–1931. 10. Tsigos C., Papankolaou D.A., Defensor R. et al. Dose effects of recombinant human interleukin-6 on pituitary hormone secretion and energy expenditure. Neuroendocrinology. 1997; 66: 54–62. 11. Heliovaara M.K., Teppo A.M., Karonen S.L. et al. Plasma IL-6 concentration is inversely related to insulin sensitivity, and acute phase proteins associate with glucose and lipid metabolism in healthy subjects. Diabetes Obes. Metab. 2005; 7: 729–736. 12. Cutolo M., Straub R.H. Circadian rhythms in arthritis: hormonal effects on the immune/inflammatory reaction. Autoimmun. Rev. 2008; 7: 223–228. 13. Nishimoto N. Kishimoto T. Humanized antihuman IL-6 receptor antibody, tocilizumab. Handb. Exp. Pharmacol. 2008; 181: 151–160. 14. European Medicines Agency. Ro Actemra (tocilizumab): summary of product characteristics. URL: http://www.emea.europa.eu/humandoes/PDFs/EPAR/RoActemra/H-955-PI-en.pdf [accessed 2009 Mar 23]. 15. Chugai Pharmactutical Co. Actemra, a humanized antihuman IL–6 receptor monoclonal antibody obtained approval for indications of rheumatoid arthritis, polyarticular course juvenile idiopathic arthritis and systemic onset juvenile idiopathic arthritis [media release]. Available from URL: http://www.chugai-pharm.co.jp [accessed 2008 Sep 24]. 16. Imagawa T., Ozawa R., Miyamae T. et al. Efficacy and safety in 48-week treatment of tocilizumab in children with polyarticular course JIA with polyarticular or olygoarticular onset. Ann. Rheum. Dis. 2007; 66 (Suppl. II): 550. 17. Yokota S., Imagawa T., Miyamae T. Safety and efficacy of up to three years of continuous tocilizumab therapy in children with systemic onset juvenile idiopathic arthritis [SAT0536]. Ann. Rheum. Dis. 2009; 68 (Suppl. 3): 715. 18. Inaba Y., Aoki C., Ozawa R. Radiologic evaluation of large joints during tocilizumab treatment in children with systemic juvenile idiopathic arthritis [SAT0555]. Ann. Rheum. Dis. 2009; 68 (Suppl. 3): 720. 19. Yokota S., Imagawa T., Mori M. et al. Efficacy and safety of tocilizumab in patients with systemic-onset juvenile idiopathic arthritis: a randomized, double-blind, placebo-controlled, withdrawal phase III trial. Lancet. 2008; 371: 998–1006. 20. Yokota S., Miyamae T., Imagawa T. et al. Therapeutic efficacy of humanized recombinant anti–interleukin–6 receptor antibody in children with systemic onset juvenile idiopathic arthritis. Arthritis Rheum. 2005; 52: 818-825. 21. Aoki C., Inaba Y., Ozawa R. Effects of tocilizumab on radiological findings in polyarticular juvenile idiopathic arthritis [OP-0145]. Ann. Rheum. Dis. 2009; 68 (Suppl. 3): 118. 22. Quartier P., Maire D., Souabni L. Efficacy and safety of tocilizumab in systemic onset juvenile idiopathic arthritis in french centers [FRI0462]. Ann. Rheum. Dis. 2009; 68 (Suppl. 3): 506. 23. Kaneko U., Imagawa T., Kishi T. Discrepancy between progression of joint damage and improvement of systemic inflammation in patients with systemic-onset juvenile idiopathic arthritis treated with tocilizumab [SAT0548]. Ann. Rheum. Dis. 2009; 68 (Suppl.3): 719. 24. Giannini E.H., Ruperto N., Ravelli A. et al. Preliminary definition of improvement in juvenile arthritis. Arthritis Rheum. 1997; 40: 1202–1209. 25. Yokota S., Imagawa T., Miyamae T. Safety and efficacy of up to three years of continuous tocilizumab therapy in children with systemic-onset juvenile idiopathic arthritis [SAT0536]. Ann. Rheum. Dis. 2009; 68 (Suppl. 3): 715. Алексеева Е., Денисова Р., Валиева С., Бзарова Т., Исаева К., Чистякова Е., Слепцова Т., Митенко Е. Эффективность и безопасность тоцилизумаба у больных тяжелым системным ювенильным идиопатическим артритом. Вопросы современной педиатрии. 2011;10(3):24–32. Alexeeva E., Denisova R., Valieva S., Bzarova T., Isaeva K., Chistyakova E., Sleptsova T., Mitenko E. TOCILIZUMAB EFFICACY AND SAFETY IN PATIENTS WITH SEVERE SYSTEMIC JUVENILE IDIOPATHIC ARTHRITIS. Current Pediatrics. 2011;10(3):24–32.